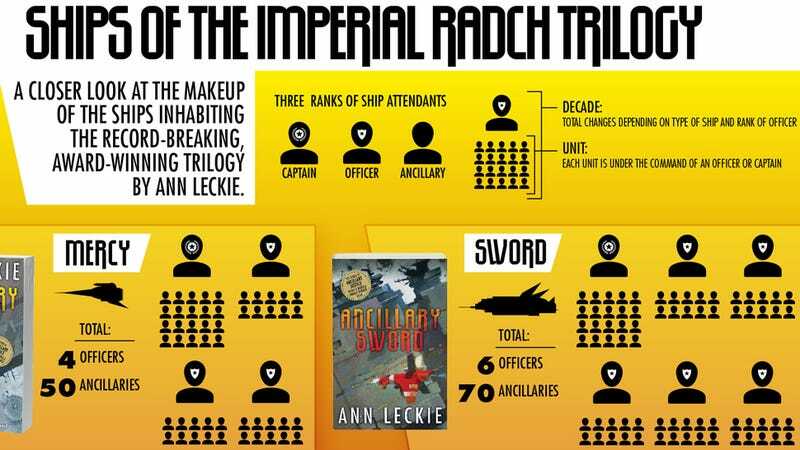 The third book in Ann Leckie’s Imperial Radch trilogy, Ancillary Mercy, comes out next week. Need a refresher course in the ships and personnel of her thrilling space-opera universe? We’ve got an exclusive infographic from Orbit Books. For a moment, things seemed to be under control for Breq, the soldier who used to be a warship. Then a search of Athoek Station’s slums turns up someone who shouldn’t exist, and a messenger from the mysterious Presger empire arrives, as does Breq’s enemy, the divided and quite possibly insane Anaander Mianaai - ruler of an empire at war with itself.